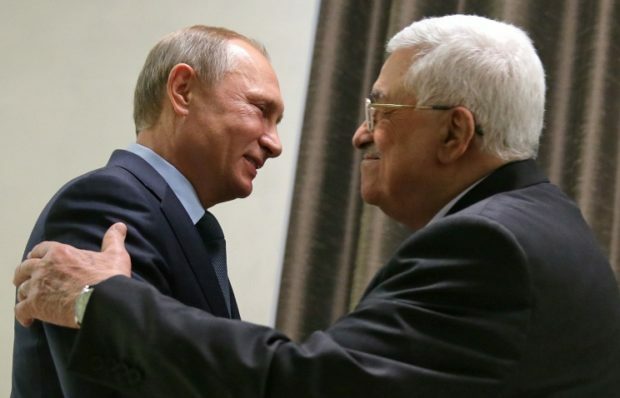 JERUSALEM (Reuters) - Soviet-era documents show that Palestinian President Mahmoud Abbas worked in the 1980s for the KGB, the now-defunct intelligence agency where Russian leader Vladimir Putin once served, Israeli researchers said on Thursday. The Palestinian government denied that Abbas, who received a PhD in Moscow in 1982, had been a Soviet spy, and it accused Israel of "waging a smear campaign" aimed at derailing efforts to revive peace negotiations that collapsed in 2014. The allegations, first reported by Israel's Channel One television on Wednesday, surfaced as Russia pressed ahead with an offer by Putin, made last month, to host a meeting in Moscow between Abbas and Israeli Prime Minister Benjamin Netanyahu. Both leaders have agreed in principle to a summit, Russia's Foreign Ministry said on Thursday, but it gave no date. 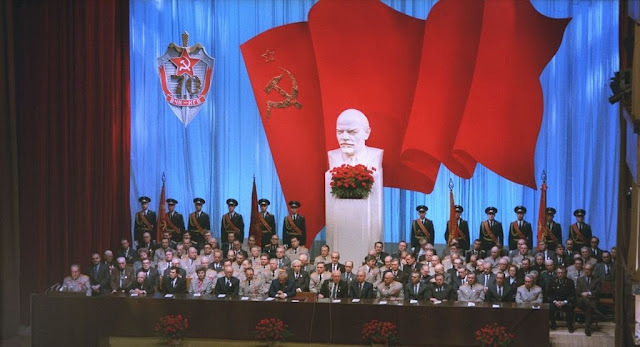 Gideon Remez, a researcher at the Hebrew University of Jerusalem's Truman Institute, said an Abbas-KGB connection emerged from documents smuggled out of Russia by former KGB archivist Vasili Mitrokhin in 1991. Some of the material, now in the Churchill Archives of Britain's Cambridge University, was released two years ago for public research, and the Truman Institute requested a file marked "the Middle East", Remez told Reuters. "There's a group of summaries or excerpts there that all come under a headline of persons cultivated by the KGB in the year 1983," he said. "Now one of these items is all of two lines ... it starts with the codename of the person, 'Krotov', which is derived from the Russian word for 'mole', and then 'Abbas, Mahmoud, born 1935 in Palestine, member of the central committee of Fatah and the PLO, in Damascus 'agent of the KGB'," Remez said. Abbas is a founding member of Fatah, the dominant faction of the Palestine Liberation Organization (PLO), the main Palestinian nationalist movement. He became Palestinian president in 2005. The documents cited by Remez did not give any indication of what role Abbas may have played for the KGB or the duration of his purported service as an agent. A Palestinian official, who declined to be identified as he was not authorized to speak publicly on the matter, said that Abbas had served as an "official liaison with the Soviets, so he hardly needed to be a spy", without elaborating. The official said any suggestion that the president was a spy was "absolutely absurd". Adding to the intrigue, Russian Deputy Foreign Minister Mikhail Bogdanov, whom Putin has tasked with arranging the Moscow summit, served two stints in the Soviet embassy in Damascus between 1983 and 1994, covering the period in which Abbas was purportedly recruited. Bogdanov was in the area this week for meetings with Israeli and Palestinian officials.